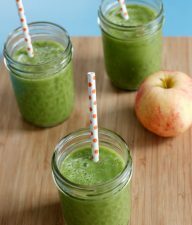 This smoothie works perfect as a Love Potion for Valentine’s day! As well as being a cheesy romantic comedy from the 90’s starring one of my favorite actresses, Love Potion #9 is also sure to make your own true love swoon! 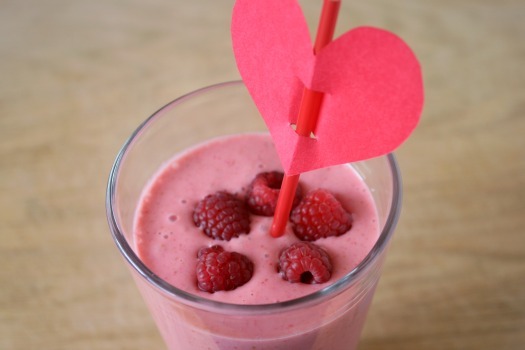 This would be a fun fruit smoothies to serve your true love on Valentines. 1. 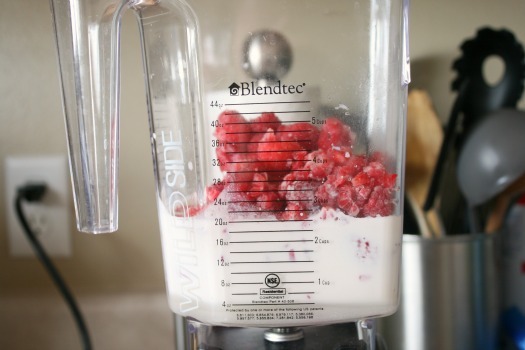 Blend your fruit, milk, and sugar together and pour it into a large glass. 2. 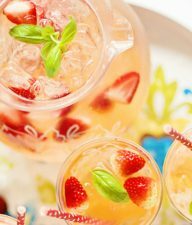 Add a few berries as the topping, giving it a festive fresh look. 3. 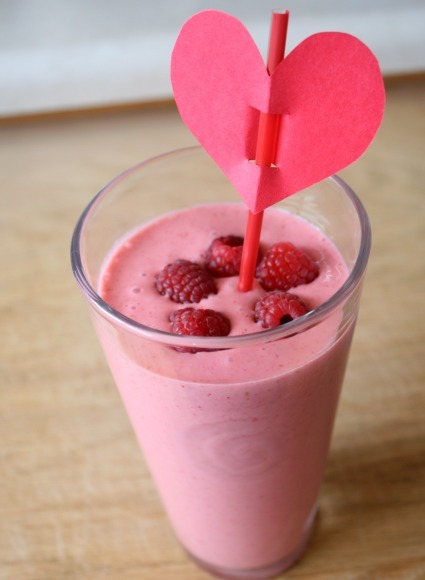 Create a love straw with a red paper heart. For the paper heart straw: cut out a heart from red paper, cut one 1/4 inch slits on the top and one on bottom of the heart, and thread a straw through. 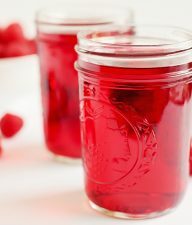 You could create a Love Potion for Valentine’s Day with almost any kind of red drink, maybe a strawberry milkshake or fruit juice would work good too. Good luck playing cupid with your potion! wow. And I thought I was the only one who loved that movie! 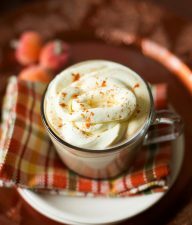 the love potion looks delish! You’re so fun! I love this!